Title held as tenants in common occurs when two or more co-owners (called co-tenants) own equal or unequal percentages of the property. Any co-tenant may transfer his or her interest in the property to another individual. Upon a co-tenant’s death, his or her interest in the property passes to the heirs or beneficiaries of that co-tenant; the remaining co-tenant(s) retain their same percentage of ownership. Transferring property upon the death of a co-tenant requires a probate proceeding. Tenancy in common is generally appropriate when the co-tenants want to leave their share of the property to someone other than the other co-tenants, or want to own the property in unequal shares. In Michigan, tenancy in common is the default manner to hold title if there is a failure to identify the manner in which two or more persons own a property. For example, if the deed simply reads “John Doe and Jim Smith” title is held by John Doe and Jim Smith as tenancy in common. Title held as joint tenancy occurs when two or more owners own an undivided interest in the entire property with a right of survivorship. Upon a co-joint tenant’s death, the decedent’s share of the property transfers to the surviving joint tenant(s), not his or her heirs or beneficiaries. Transferring property upon the death of a joint tenant does not require a probate proceeding, but will require the recordation of a death certificate with the register of deeds to terminate the deceased joint tenant. Joint tenancy is generally favored when owners want the property to transfer automatically to the remaining co-joint tenants upon death. It is important to note that upon the death of last surviving joint tenant, the property will pass to the heirs and/or devisees of the last surviving joint tenant through the probate process. A Tenancy by the Entirety allows spouses to own property together as a single legal entity. Upon the spouse’s death, the decedent’s share of the property transfers to the surviving spouse avoiding probate. Upon the death of the spouse, the recordation of a death certificate with the register of deeds is necessary. Generally, under a tenancy by the entirety, creditors of an individual spouse may not attach and sell the interest of a debtor spouse: only creditors of the couple may attach and sell the interest in the property owned by tenancy by the entirety. The above methods of taking title apply to properties with multiple owners. However, even sole owners, for whom the above methods are inapplicable, face an important choice when purchasing property. Whether a sole owner, or multiple co-owners, everyone has the option of holding title through a living trust. QuietTitle.com can assist in preparing a Living Trust. Once your living trust is established, the property can be transferred to you, as trustee of the living trust. Holding title to property in the name of a living trust will avoid probate upon the property owner’s death. The trust document names the successor trustee, who will manage your affairs upon your death, and beneficiaries who will receive the property. With a living trust, the property can be transferred to your beneficiaries quickly and economically, avoiding the probate court altogether. Because you remain as trustee of your living trust during your lifetime, you retain sole control of your property. How you hold title has lasting ramifications on you, your family, and the co-owners of the property. 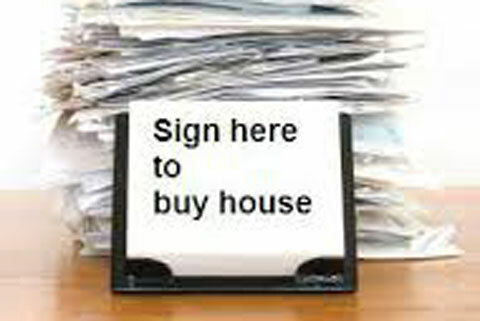 Title transfers can affect property taxes, capital gains taxes, and estate taxes. By consulting QuietTitle.com, you can ensure your rights – and those of your loved ones – are fully protected. QuietTitle.com can assist in determining the the most appropriate manner in which to hold title.